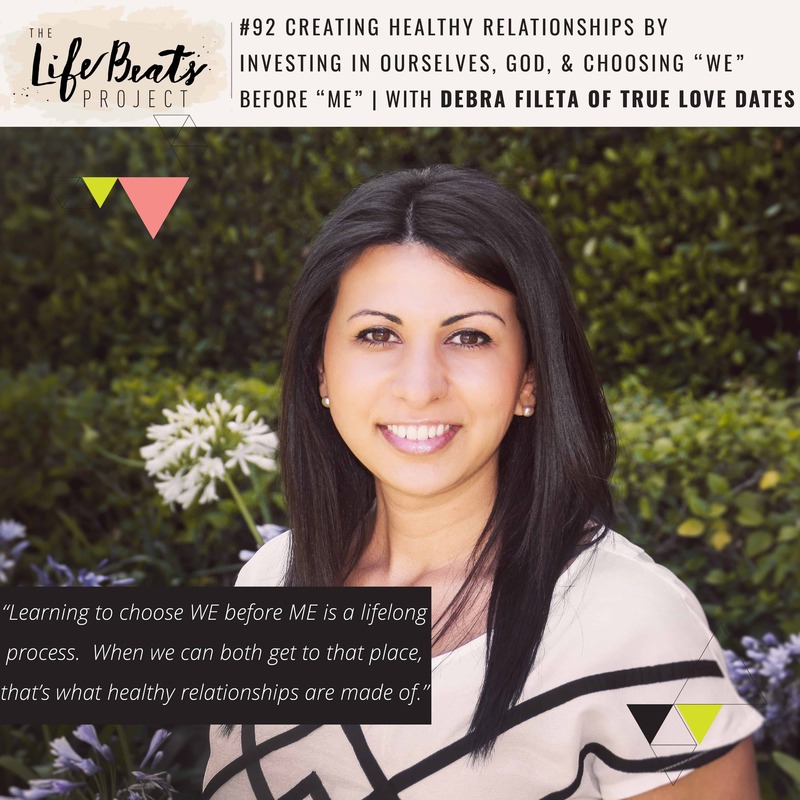 On today’s episode I talk with Debra Fileta of the healthy relationship website True Love Dates about deliberately investing time in our relationships whether married or single, starting with what she refers to as dating in 3 ways – inward, outward, and upward – with ourselves, our partners or future partners, and with God. How healthy relationships begin with healthy people – people that she defines as understanding what their own identity is and their relationship to God. By having that foundation we can recognize the type of people that fit into our lives. That human beings are magnetic and the healthier we are emotionally, psychologically, and spiritually, the healthier the people we attract. Debra is also the co-host of the podcast Love & Money and author of the book which launched last week called “Choosing Marriage, Why it has to start with WE is greater than ME.” She shares her own personal experiences of her love journey including breaking off a year and a half relationship after realizing she was settling and having to discover who she was before eventually finding the man who would show her love through bologna sandwiches – find out more about that story in the episode. We discuss the sacrificial attitude we need to have in marriage and how it is usually the silly stuff, the little things, that accumulates over time to create bitterness and content in our marriages and how the process of choosing WE over ME every day will bring the fruits we want in our relationship. Listen and be inspired to invest in ourselves in order to attract or maintain healthy relationships, not be willing to settle for just average or “good enough” in our relationships, to understand how our relationship with God supports our love life, and to choose to foster a sacrificial attitude daily. Watch our 1st video podcast here !